As part of its Vault 7 leaks, WikiLeaks today revealed details about a new implant developed by the CIA, dubbed AngelFire, to target computers running Windows operating system. 1. Solartime — it modifies the partition boot sector to load and execute the Wolfcreek (kernel code) every time the system boots up. 3. Keystone — a component that utilizes DLL injection technique to execute the malicious user applications directly into system memory without dropping them into the file system. 4. BadMFS — a covert file system that attempts to install itself in non-partitioned space available on the targeted computer and stores all drivers and implants that Wolfcreek starts. 5. Windows Transitory File system — a new method of installing AngelFire, which allows the CIA operator to create transitory files for specific tasks like adding and removing files to AngelFire, rather than laying independent components on disk. Last week, WikiLeaks published another CIA project, dubbed ExpressLane, which detailed about the spying software that the CIA agents used to spy on their intelligence partners around the world, including FBI, DHS and the NSA. Pandemic — A CIA's project that allowed the spying agency to turn Windows file servers into covert attack machines that can silently infect other PCs of interest inside the same network. 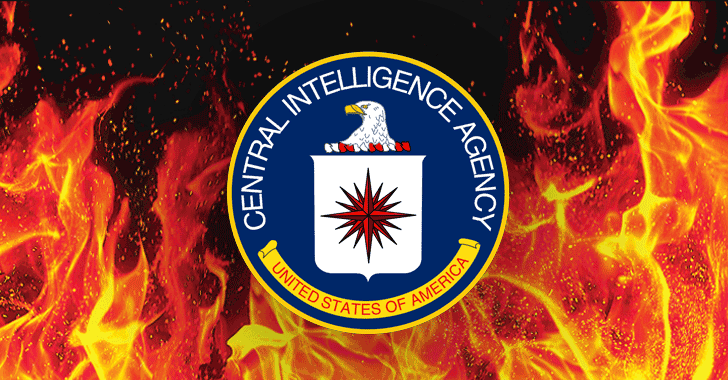 AfterMidnight and Assassin — 2 alleged CIA malware frameworks for the Microsoft Windows platform that's meant to monitor and report back actions on the infected remote host PC and execute malicious actions. Scribbles — Software allegedly designed to embed 'web beacons' into confidential documents, allowing the CIA agents to track insiders and whistleblowers. Grasshopper — A framework which allowed the spying agency to easily create custom malware for breaking into Microsoft's Windows OS and bypassing antivirus protection. Weeping Angel — Spying tool used by the CIA agents to infiltrate smart TV's, transforming them into covert microphones.